Will foreign investors relocate to Vietnam during the US-China trade war? VietNamNet Bridge - Multinationals will have to think carefully about whether to relocate to Vietnam to avoid any negative impact from the US-China trade war, experts say. International and Vietnamese experts have predicted that there will be a wave of ‘US-China trade war refugees’ coming to Vietnam. As the US has imposed higher taxes, Chinese goods have become less competitive in price in the US market. In such a context, manufacturers can continue making products in Vietnam for export to the US without having to bear high tax rates. Vietnamese experts think that foreign investors will flock to Vietnam in the context of the trade war but wonder if Vietnam is capable of absorbing the huge investment capital flow in the time to come. Nguoi Lao Dong newspaper quoted Takahisa Onose from the Japanese Entrepreneurs Association in HCM City as saying that most Japanese enterprises intend to scale up their operation in Vietnam as they see the business environment here getting better. He also said that the escalation of the US-China trade war has accelerated the move of Japanese enterprises’ production bases from China to Vietnam. In its latest report about economic prospects in 2019, the National Centre for Socio-Economic Information and Forecast (NCIF) pointed out that while the tax rates on some Chinese export items to the US will increase by 10-15 percent only, the production costs would increase by 25-30 percent if manufacturers relocated production bases to Vietnam. Vietnam has emerged as a preferred destination for foreign manufacturers, but they will have to think carefully about what they may face in Vietnam, from low productivity to limited labor force quality. 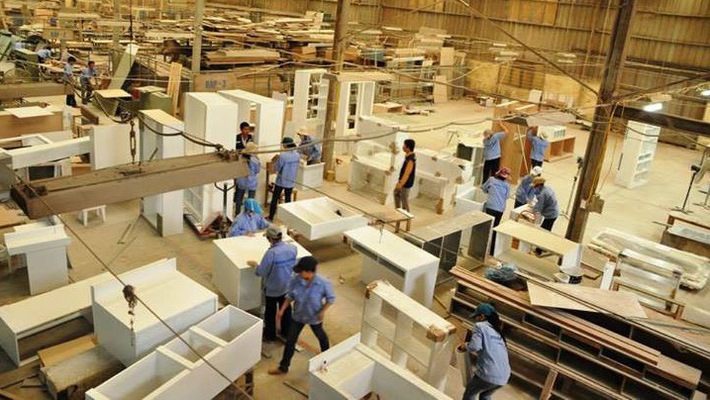 “The problems lie in the fact that the labor productivity is still low and the business efficiency is not high, while Vietnam’s business environment is not really more advantageous than Thailand or Indonesia,” Tran Toan Thang from NCIF said. International press have reported that up to one third of US businesses are considering leaving China. However, NCIF said that they would still have to consider thoroughly as business in China still can bring certain benefits to enterprises, and China itself remains a link in the global value chain. Though the US has announced high taxation on over 6,000 tariff lines, especially products related to ‘Made in China 2025’ programs, the US trade deficit with China increased from $50.1 billion in July 2018 to $55.5 billion in October 2018, NCIF said. The trade deficit in the first nine months of the year climbed to $305.4 billion, compared to $276.6 billion in the same period last year.